Q: I am a diabetic. Can I eat a limited amount of honey when it is called for in recipes? Yes, absolutely. Cautious consumption of natural unprocessed honey, when factored into your total caloric requirement, will not raise your blood sugar levels. In fact, in some studies, honey has been linked with reduced weight and an improved blood lipid profile (a measurement of fats in your blood). It also has been shown to have anti-inflammatory and antioxidant effects. 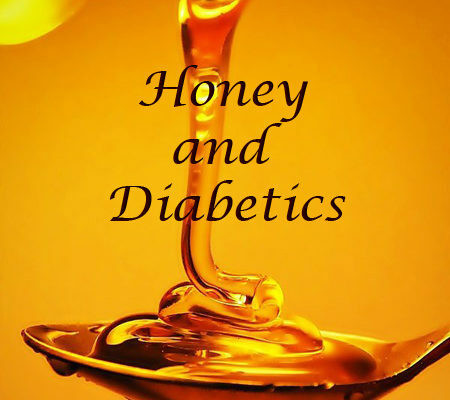 However, fructose is the main sweetener in honey, and eating more than 50 grams of fructose a day can increase your blood sugar levels and result in an unfavorable lipid profile that is bad for your health. This is especially true for high-fructose corn syrup. So, you should first determine your daily caloric requirement. There are many Web-based calorie calculators that you can use to do this, including My Calorie Counter. Then, factor your honey intake into your total daily caloric requirement. One tablespoon of honey has 64 calories and contains 8.1 grams of fructose. Finally, avoid food items that contain high-fructose corn syrup.